KEN YUSZKUS/Staff photo. 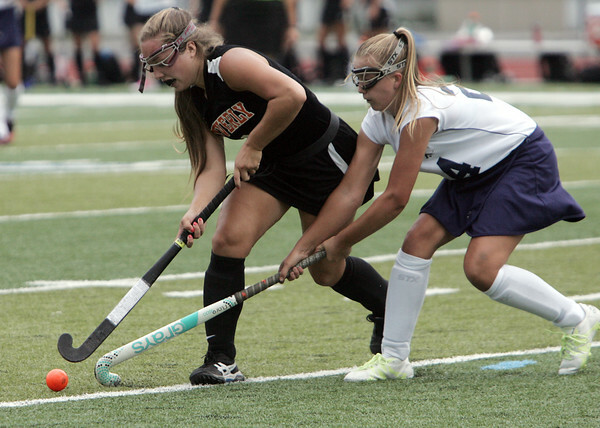 Beverly's Marissa Laganas, left, and Peabody's Mallory LeBlanc go after the ball during the Beverly at Peabody field hockey game. 9/8/15.